Peter Mensah in Zack Snyder's 300. The Academy of Motion Picture Arts and Sciences' four-evening seminar series “Evolution or Revolution? Production Design in the 21st Century” will explore the challenges in production design on four consecutive Mondays beginning April 25. The sessions will be moderated by two of the Academy's Art Directors Branch governors, production designer Jim Bissell (300, Confessions of a Dangerous Mind) and set decorator Rosemary Brandenburg (Public Enemies, Transformers). Each session will take place from 7 to 10 p.m. at the Academy's Linwood Dunn Theater in Hollywood. The Convergence of Production Design in Live Action and Animation. Designers from animation and live action compare their responsibilities, as well as the creative and executive pipelines through which they navigate their work. Memorable Images: Production Designers and Set Decorators Choose Their Favorites. Production designers can create powerful images that embed themselves into the collective cultural consciousness. The panel will give examples of those unforgettable instances when dramatic design surges from a support role to the forefront of the storytelling process. Set Decoration and the Design Collaboration. Production designers and set decorators discuss their collaborative process. The Criteria for Good Production Design. Production designers and set decorators discuss what they look for in their peers' work as hallmarks of great creative design. Registration for the entire series is $40 for the general public and $30 for Academy members and students with a valid ID. Admission for individual evenings, if available, is $10 at the door. The Linwood Dunn Theater is located at 1313 Vine Street in Hollywood. For more information, call (310) 247-3600 or visit the Academy's website. 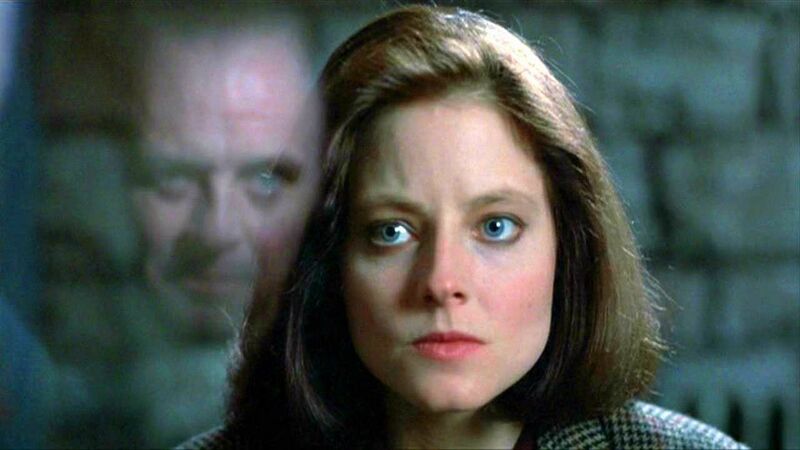 Anthony Hopkins, Jodie Foster in Jonathan Demme's The Silence of the Lambs. The Academy of Motion Picture Arts and Sciences' “Monday Nights with Oscar” series will present “An Evening of Sound with Chris Newman and Tom Fleischman,” an exploration of the use of sound on film, on Monday, April 25, at 7 p.m. at the Academy Theater at Lighthouse International in New York City. As per the Academy's press release, Newman and Fleischman have among themselves 76 years in sound mixing and 12 Oscar nominations. Newman won Academy Awards in the Sound category for William Friedkin's The Exorcist, Milos Forman's Amadeus and Anthony Minghella's The English Patient. Fleischman was nominated for Warren Beatty's Reds, Jonathan Demme's The Silence of the Lambs, and Martin Scorsese's Gangs of New York and The Aviator. “An Evening with Sound” will feature film clips demonstrating “how the raw tracks recorded on a set become part of the finished soundtrack,” along with the presenters' stories of working with Jonathan Demme, Martin Scorsese, Milos Forman, and other filmmakers. Audience members will be encouraged to take part in the discussion. Tickets for “An Evening of Sound” are $5 for the general public and $3 for Academy members and students with a valid ID. The Academy Theater is located at 111 East 59th Street in New York City. Doors open at 6:30 p.m. All seating is unreserved. For more information, visit the Academy's website or call (212) 821-9251. Rebecca Cammisa's Which Way Home. Rory Kennedy's The Fence and Rebecca Cammisa's Academy Award-nominated Which Way Home will be screened as the next installment in the Academy of Motion Picture Arts and Sciences' 29th annual “Contemporary Documentaries” series on Wednesday, April 27, at 7 p.m. at the Linwood Dunn Theater in Hollywood. Directed Kennedy is expected to in attendance. Admission to all screenings in the series is free. In October 2006, the U.S. government decided to build a 700-mile fence along its Mexican border. Three years and $3.1 billion later, The Fence director Rory Kennedy investigates the impact of the project and how its stated goals - stopping illegal immigration, drug trafficking, and terrorism - have given way to unforeseen consequences. Kennedy also produced the film with Liz Garbus and Keven McAlester. Which Way Home profiles two young boys, Kevin and Fito, who are among the countless children who leave their homes in Central America and attempt to enter the United States illegally in search of a better life. Directed and produced by Rebecca Cammisa, the film earned an Academy Award nomination for Documentary Feature. The 29th annual “Contemporary Documentaries” series continues through June 1, showcasing feature-length and short documentaries drawn from the 2009 Academy Award nominations, including the winners, as well as other important and innovative films considered by the Academy that year. All films in the “Contemporary Documentaries” series will screen at the Linwood Dunn Theater at the Academy's Pickford Center for Motion Picture Study on Wednesdays at 7 p.m. Doors open at 6 p.m. All seating is unreserved.